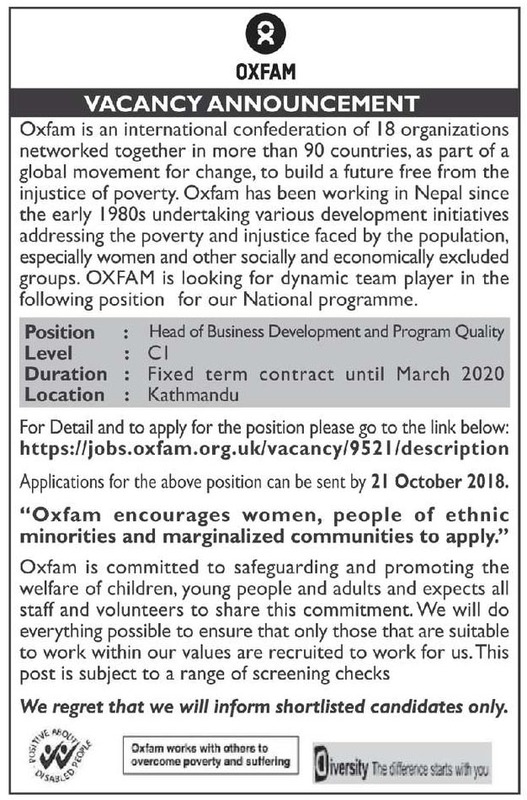 Oxfam published a vacancy announcement notice to fulfill the position Head of Business Development and Program Quality for Kathmandu area. The application must submit before 21 Oct. 2018 through the online link listed below. Selected candidates should follow fixed term contract until March 2020. Check complete notice of Vacancy Announcement OXFAM and the online link to apply below.